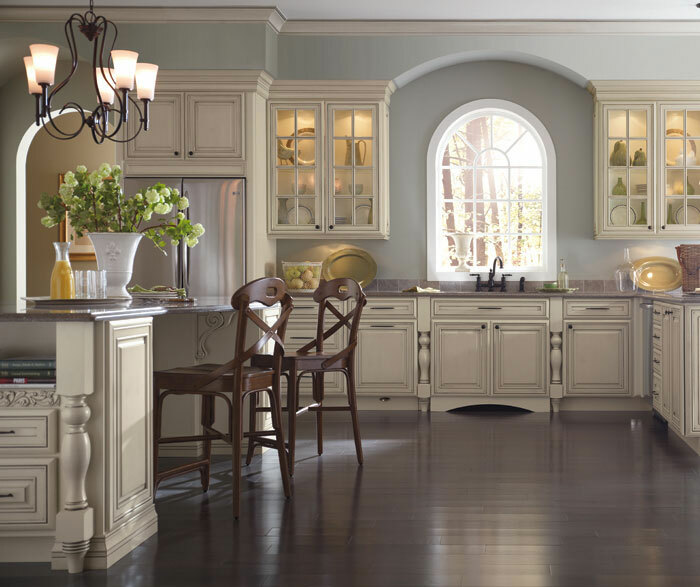 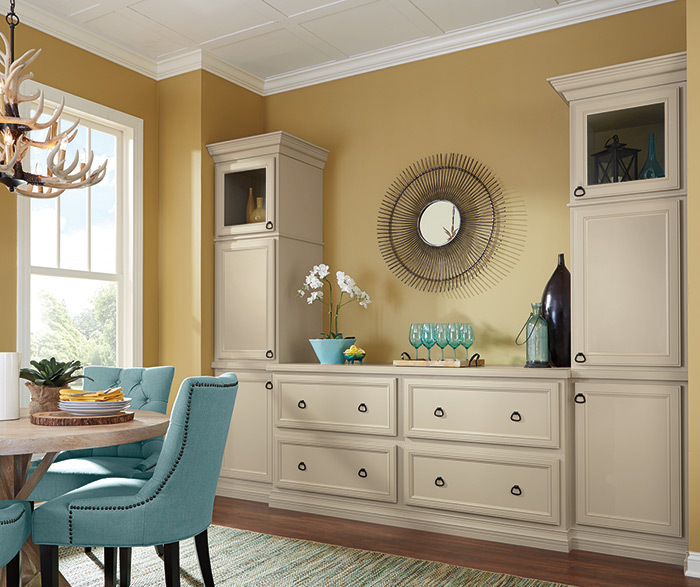 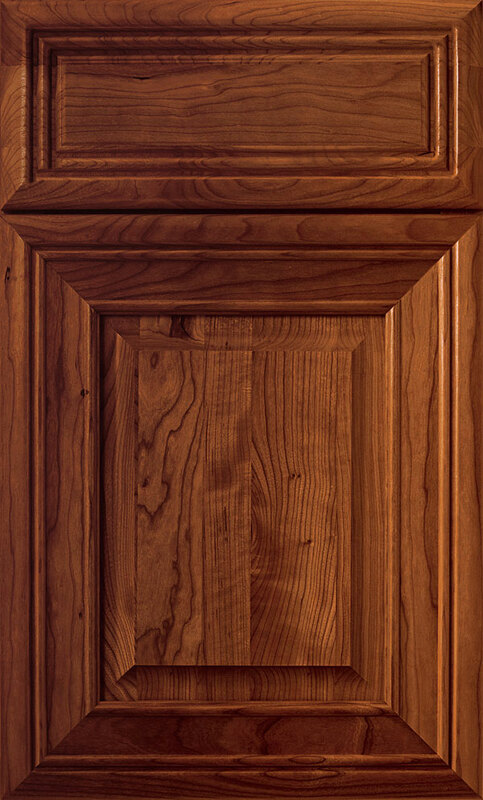 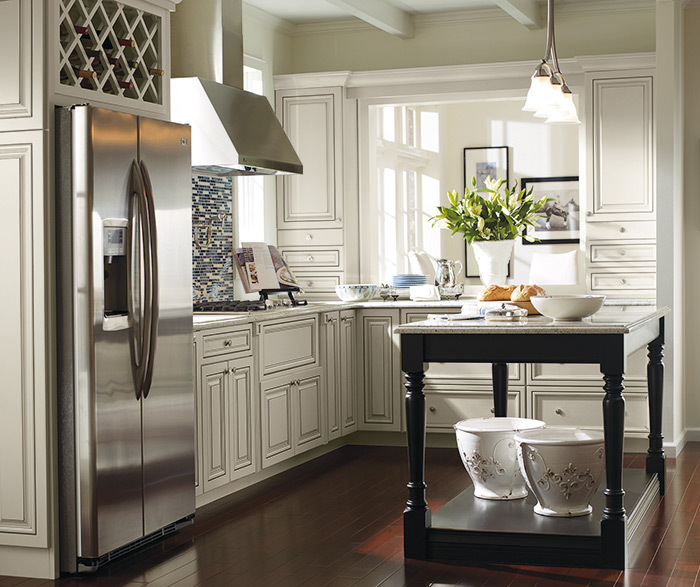 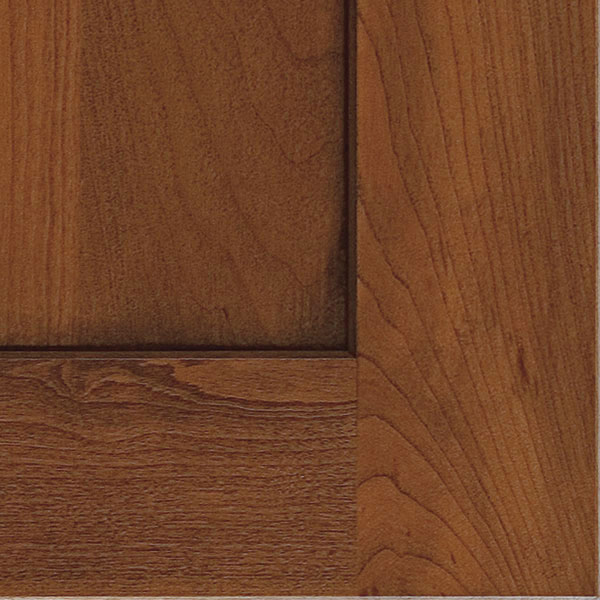 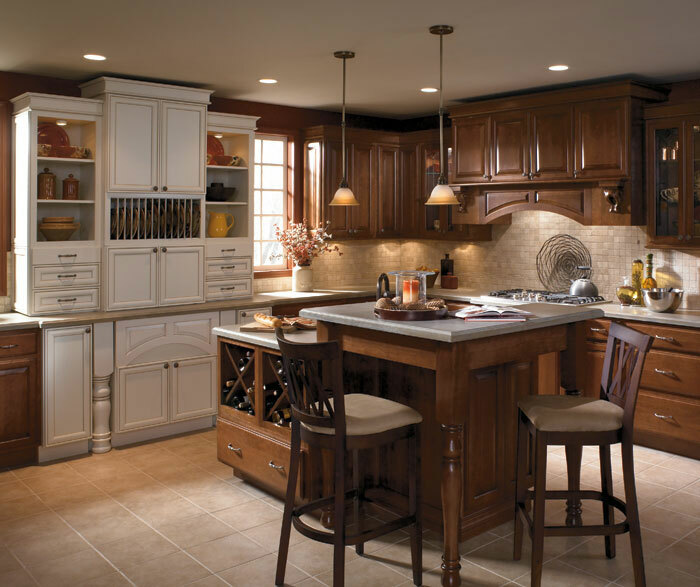 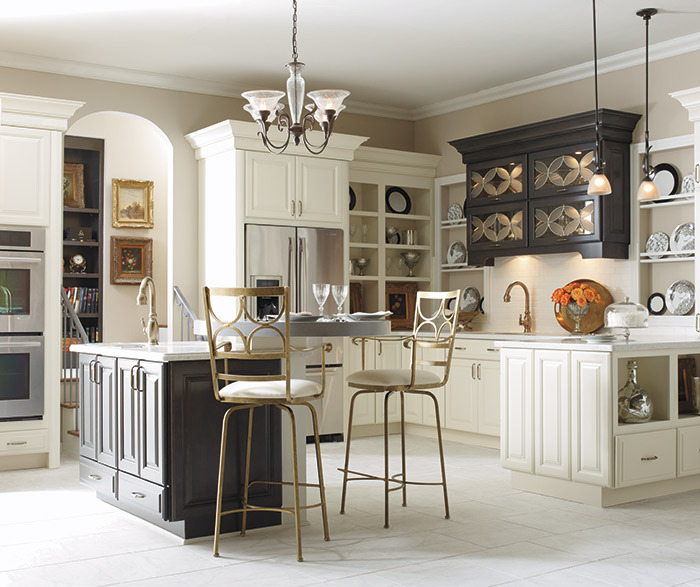 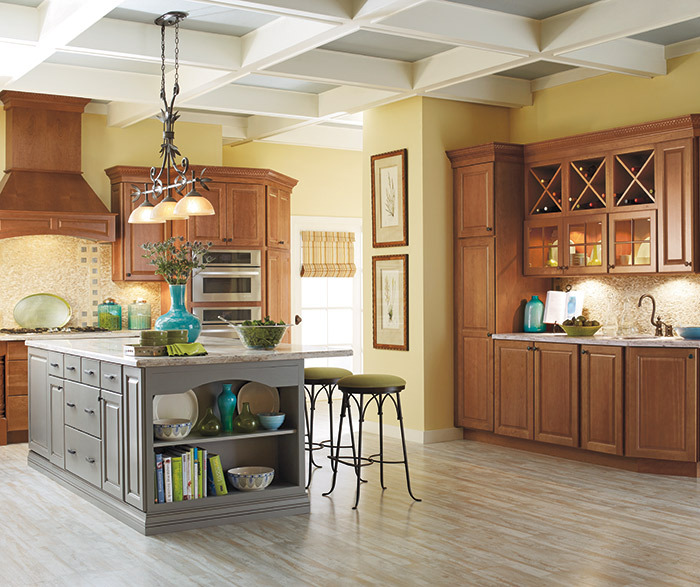 If classic elegance is more your style, look to the richly detailed Galena door. 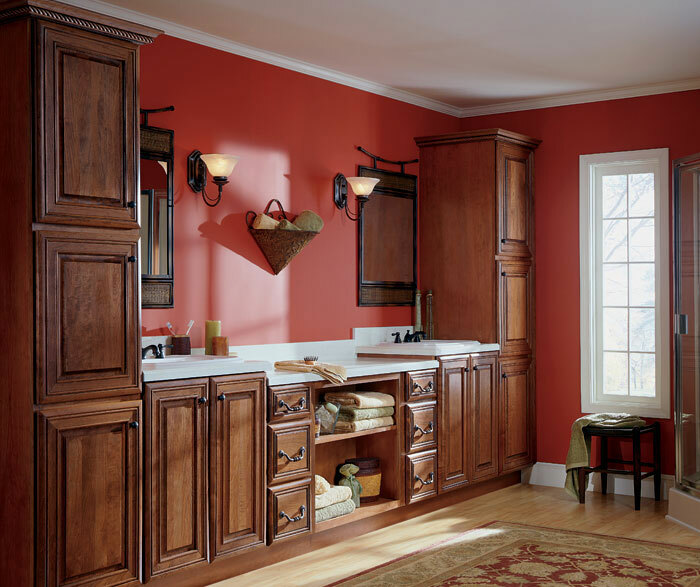 Anchored with matching utility cabinets and centered with open shelving, this small bath lives much larger than the space it occupies. 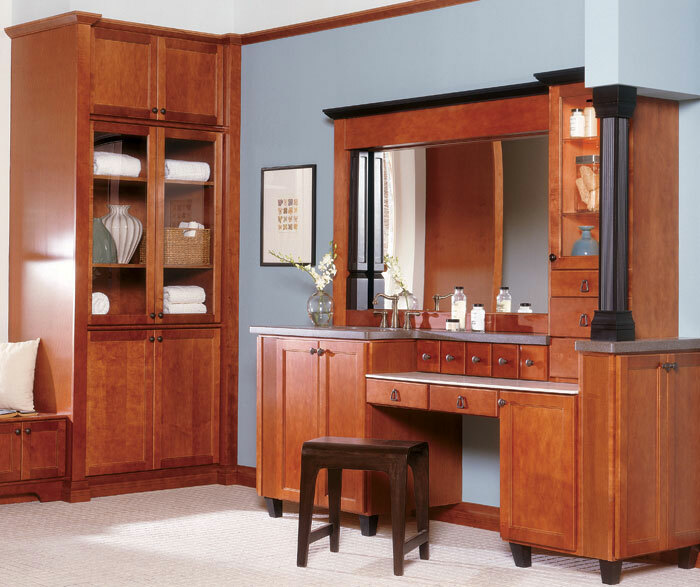 The timelessness of warm wood tones in the Cherry bathroom cabinets infuse the room with opulence, making the ordinary extraordinary!